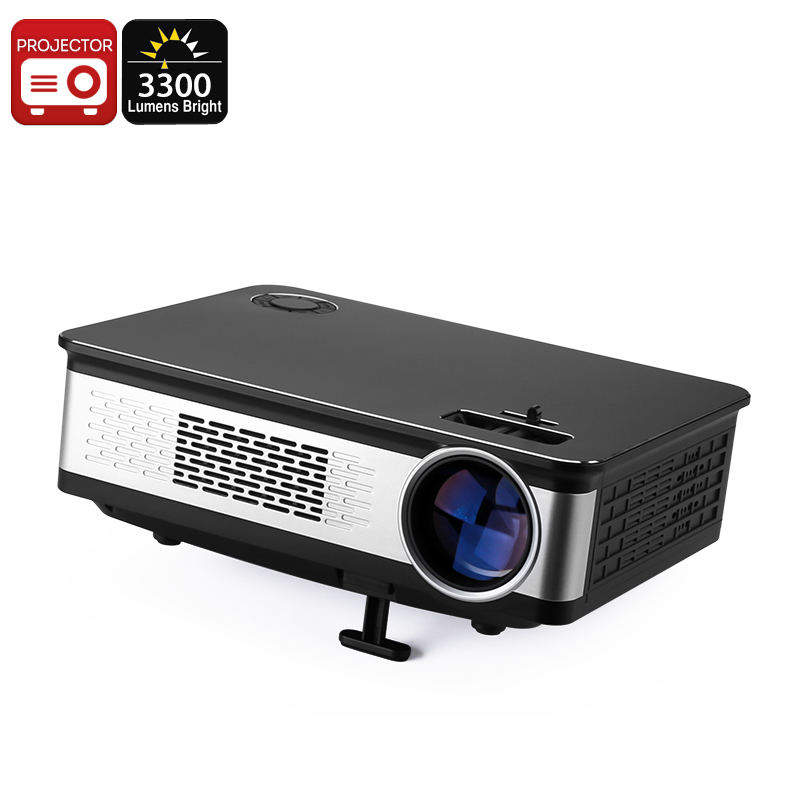 Successfully Added 100W LED Projector - 3300 Lumens, Metal Body, HD Support, 1.67 Million Colors, AV, HDMI, VGA, Built-In Speaker to your Shopping Cart. This LED projector is the perfect piece of equipment for work and entertainment purposes alike. With its 100W light, this projector is capable of displaying bright and detailed images on your wall. Whether you use it to watch a movie or to give a presentation, this LED projector is sure to meet your demands. It features a stylish metal body which gives it a high-end look. This body furthermore makes your projector extremely durable. With a throw distance of 1 to 6 meters, you’ll be able to turn every small and medium sized room into a theater. Simply attach it to your TV, PC, or laptop – and you’ll be all set to project movies and images onto your wall. This LED projector supports HD media files in 1280x768p resolution. This means you’ll be able to display the vast majority of films, series, and other office related files with this cool electronic gadget. Bringing up to 1.67 million colors, you can be assured that you’ll be treated with stunning graphics and high detail. The next time you throw a movie night for your friends or colleagues, you’ll all be able to enjoy a cinematic experience. A projection size up to 120-Inch, truly lets you fully enjoy your favorite media in its fullest glory. Your LED projector furthermore has been equipped with a built-in 5W speaker. This speaker lets you enjoy audiophile quality sound effects without that you need any external audio devices. Coming with VGA, AV, and HDMI ports, this projector brings along great usability. You will be able to simply connect the projector to your PC or TV and instantly enjoy your media. With a 3300 lumen LED projector, you are guaranteed to undergo a stunning visual experience. Whether you use it for business or entertainment, this beautiful LED projector is sure to meet your expectations. This LED projector comes with a 12 months warranty, brought to you by the leader in electronic devices as well as wholesale electronic gadgets..